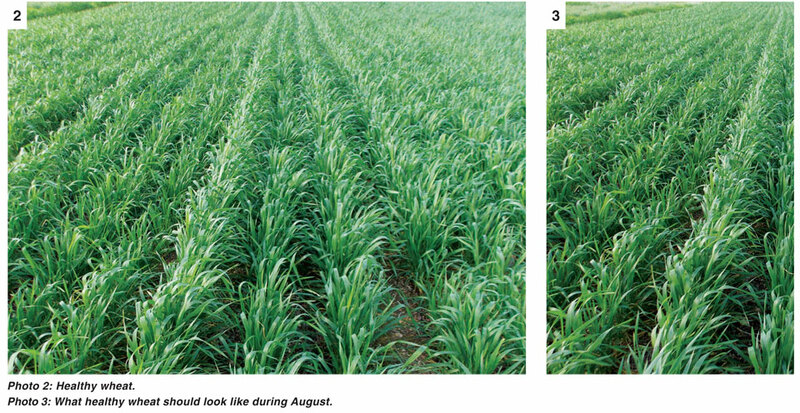 The first 40 days are the most important in determining the yield potential of your wheat crop. It is therefore important to make sure that all your management efforts are focused on maximising your yield potential during this stage. It is during these first 40 days that the maximum potential in the number of ears, the number of spikelets on each ear and the flower packets on each spikelet are formed. If the farmer does not manage this period well, the potential maximum yield can be severely limited. To ensure that the maximum potential is realised, we have to manage the following: Weeds and fertiliser. Weeds compete for food, water and light and, if left unchecked, can severely lower the potential yield. 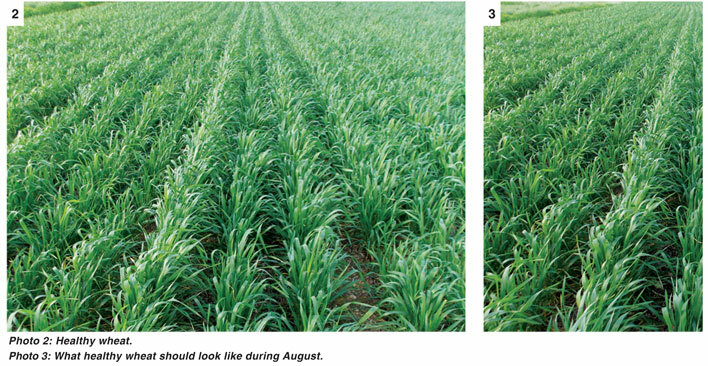 Remember that in a well-planned crop rotation system the focus falls on the control of broadleaf weeds within the wheat year. You should have addressed grass weed problems in the previous year’s broadleaf crop and also with a pre-emergence herbicide applied before or at planting. Weed control can be applied anytime from the 2nd leaf stage of wheat and the application of herbicide can also include either an insecticide or micro element application as needed. Be sure to read the label of the herbicide you wish to apply, since some can be used in a mix and others are more effective when applied on their own. Make sure that you apply the correct dosage too, because a higher than required dosage, or a sub-lethal dosage, may cause herbicide resistance. It is also very important to alternate the type of herbicides you use from year to year to lower the chance of developing herbicide resistance. The aim of managing your weeds early is to give the wheat crop the chance to outgrow any weeds that emerge later, so that the wheat out-competes the later-emerging weeds and maximises its potential yield. Fertilisers applied during the planting action of the wheat crop are, in most cases, placed under the seed in order for the plant roots to grow down and reach them during the first few weeks. Placing the fertiliser too close can, however, burn the seed, which lowers the plant count and subtracts from the possible potential yield. We want the optimum number of plants on the field to be able to realise the maximum potential yield, although a wheat plant can compensate for a low planting density by forming tillers during the tillering stage. This only happens up to a point and then the season’s conditions need to be optimal to ensure that all the tillers develop to full ears and that they are filled. The first top dressing can be applied during the last days of this important 40 day-period to ensure that the plants do not lack in their nutritional needs, since this can also limit the maximum potential yield. If the season is very rainy it might be necessary to apply the first top-dressing a little earlier, because leaching of the fertiliser, applied during planting, can occur more rapidly during such conditions. The amount of fertiliser applied varies from farmer to farmer, but normally ranges between 30 and 50kg N/ha. Remember that the management of the wheat crop during the first 40 days is critical in maximizing your potential yield. Once the maximum potential yield is formed, it cannot be increased after that. From roughly six weeks after emergence to the end of the season the maximum potential can only decrease, never increase, so it is important to keep your eyes on the prize (or production target) the whole season. Once you have done all you can do to maximise your possible yield, you must still keep your management tight so that your management practices or lack thereof, are not the reason for not reaching that potential. Yes, the season can play a role in the realisation of the potential, but you cannot control the climatic conditions. Do what you can do, well and the battle, from a management point of view, is won. 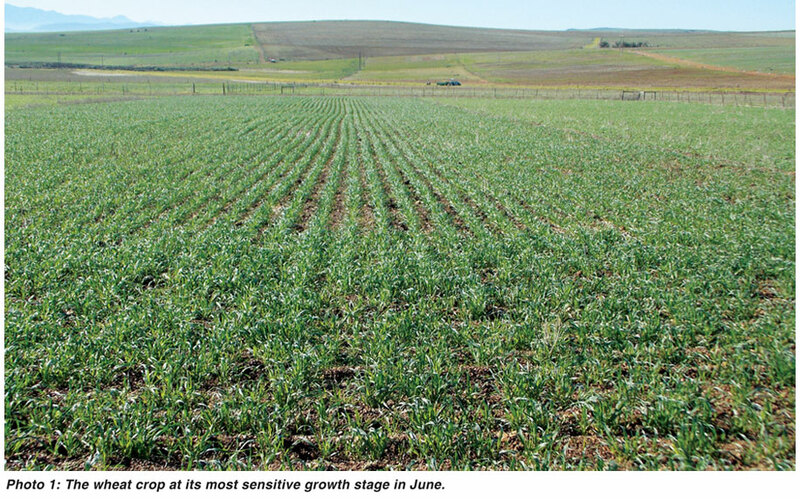 Article submitted by Dr Johann Strauss, Scientist: Sustainable cropping systems, Directorate Plant Science, Western Cape Department of Agriculture. For more information, send an email to johannst@elsenburg.com.